It is almost the middle of 2012 and a time for evaluation of goals, both writing and personal. I do this between mid May and mid June so that July through December can hopefully be productive rather then dwindling into nothingness. Maybe the teacher in me picks this time of year because the school year is coming to a close and summer presents a time for renewal and the formation of a new attitude for fall. Here is how I re-evaluate and make goals for the remainder of the year. I look at what has worked and what has not to move my writing career forward. For me, I have finished a big project and have only a few smaller gigs to make the monthly paycheck so I need to look for new writing gigs. This means at least three times a week I will look at job boards or send out queries. I have books to promote, a new picture book to be released in August 2012, and a some ideas for magazines that I want to query. Keeping a calendar of holidays, magazines and their editors, topics that need a fresh twist, and marketing ideas is a good way to make the remainder of the year productive. I pick a day a week to look at this list and make my goals for the next week to include tackling something on this list. I have social media sites to visit. How much an author does with social media is a personal choice but making sure activities on those sites includes moving your writing career forward is a must. I will weed out those areas that are not for writing and add the ones that will help my writing for the rest of 2012. It is a business decision and works to help promote a niche and platform. I look at what conferences are around and what free or low cost workshops are available and decide which ones I can attend. Currently there are three that I am either attending or will attend online. This is an important step in honing writing skills and keeping current. 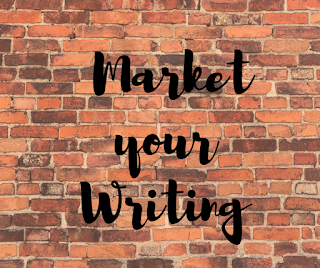 Conferences and networking, taking workshops and joining critique groups are an important way to learn more about the craft of writing and to get to know other authors, publishers, or editors. Finally, I weed out some of the groups that are not helping me to move forward. This is the most difficult part of my mid year evaluation but it also must be based on the business of writing. What groups are helping you grow as a writer and which are simply another form of socializing that takes you away from the writing? Stick with the ones where you are still learning and step back for a few months from the ones that keep you away from your writing goals. Evaluation is never easy and neither is making the decisions it takes to succeed. The important thing is to take positive actions so you can become the author you know you can be. Just remember to make friends along the way and enjoy the process. Great reminder, Terri. And, I agree, analyzing what's working and what's not, including groups, is essential. What a good idea! Those goals and resolutions we make in January often fall by the wayside as the year progresses and life gets in the way! It makes good sense to schedule in a mid-year evaluation Terri. Companies do this in their appraisal systems and it works to keep things on track. My husband and I have been evaluating where we want to retire, when to downsize, what activities we need to keep and what we need to change ( taking care of so many animals is hard work and expensive ) and evaluating my writing is part of this process. If I want to be a full time freelancer and get more books written and published I know I need to step up the pace and let some other things go. Thanks for the support. Thanks for a timely article, Terri. Up until this year, social networking hasn't been a problem for me as it was an occasional thing. However, this year with marketing and building a platform, it has become time-consuming. It IS time for me to do a sit down and take stock. Thanks for the prod. I've shared this post. Good idea! I will work on this too.